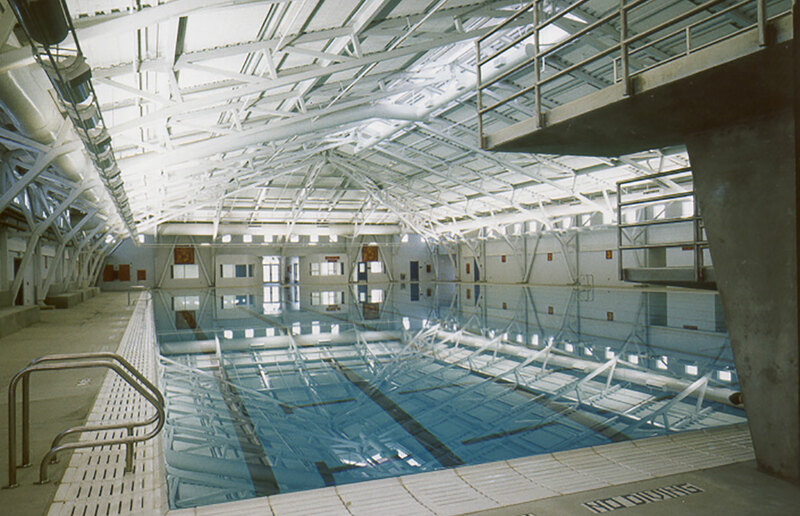 This project provides a new swim tank, uncertified 50 meters x 25 meters wide, to support Basic Warrior Training. 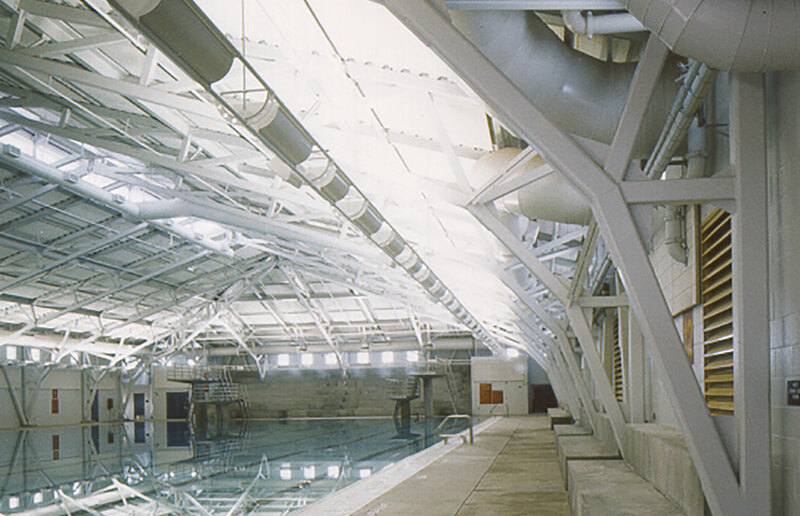 The facility is a high bay one-story structural steel frame on reinforced concrete grade beams reinforced concrete floors, corrugated steel suspended decks with concrete fill, mission tile and steel stud infill wall framing as per BEAP. Space includes pool toilets, shower facilities, administrative support, classrooms, storage and mechanical rooms. Special construction features include seismic design, concrete piles, sound attenuation and air conditioned office spaces and classrooms.